I am a proud member of the Church of Scientology and have been for nearly 40 years, and I refute every statement that Leah Remini has made that attempts to show my church in a bad light. If even a fraction of what she spews were true, Scientology would not be flourishing as it is today. I am writing to you to communicate my utter displeasure that you are a sponsor of Leah Remini’s show, which is nothing more than a complete attack against my religion. 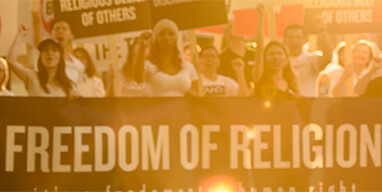 We are living at a time when it has become fashionable to attack the religious freedom of others. A&E and Remini are now at the forefront of religious discrimination, bigotry and hatred. I cannot condone this behavior in the name of “entertainment.” Freedom of speech does not include freedom to slander and tell lies. I no longer watch A&E or any show involving Leah Remini and I am considering cancelling my cable subscription because A&E chooses to carry this show which tramples on Americans who happen to be Scientologists. Unfortunately, a fringe minority in our country can be incited to drive a car into a crowd in Virginia or drive a car through the front door of a Scientology Church in Texas. These are the same type of people as the one who just committed a most heinous crime against humanity in Las Vegas. Your advertising dollars are supporting a twisted, bigoted message that has resulted in violence against Scientology Churches and Scientologists. I will not support any company that funds or contributes to this bigotry. Please cease your support of this anti-religious hate show.